This week on The Easy Chair, I read the first chapter of my YA novel under consideration (working title, Sisterhood of the Porcelain God). Sophie is 18, a senior in high school, and her life should be poised for takeoff, but the eating disorder that has turned her life upside down since she was 13 makes forward momentum all but impossible. Publicly, she seems to be making progress, but privately, she is still locked in a fight for her life. This is the beginning of a difficult but important ... See More story. 30 million people suffer from eating disorders in the United States, and every 62 minutes, someone dies as a direct result of an eating disorder. Sisterhood is about Sophie’s journey. The road to recovery is marked by daily struggles for survival, and the people you meet along the way. Tune in! 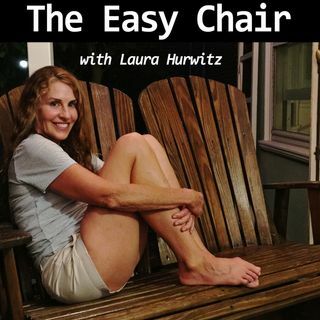 Let me know if you like what you’ve heard so far at easychairpodcast@gmail.com.